Six weeks ago, America watched as immigrant children were ripped away from their families. We were up in arms over the injustice of it all. Millions of people protested. ICE headquarters were occupied. It was all you heard about on the news. Flash forward to August, the protesters have gone home, and we're lucky if the issue is one of the last stories on the news. Judging by the collective silence, one might believe the issue has been resolved. Subject: Photo provided by Custom and Border Protection to reporter on tour of detention facility in McAllen, Texas. Reporters were not allowed to take their own photos | Date: 06/17/2018 | Photographer: U.S. Customs and Border Control | This work is in the public domain in the United States because it is a work prepared by an officer or employee of the United States. According to Bloomberg News, seven hundred children have yet to be reunited with their families. The government tried to claim that all "eligible" children have been reunited. This flew for about a day until the court asked what the word "eligible" meant. On Friday, the federal government suggested that the ACLU adopt the job of reuniting families. Again, the court stepped in and pointed out that the ACLU does not have the resources to do the job, nor is it their responsibility. One major problem is that many of the parents in question may have already been deported with no way to track them. This problem is a direct result of not having a plan laid out before the program began. For some reason, our government thought they could make it up as they went along. It's a juvenile attitude. In high school, one of the first lessons kids are taught is to have a plan. They're taught to outline a project step by step before they execute step one. Yet, we have a government who seems to have forgotten that lesson. Not that it was a worthwhile project to begin with, but if they were going to do it, they should have organized a lot better. As a result, we've destroyed hundreds of families in the name of making a political point. The worst part is, a very few of us are still paying attention. We've all moved on to other hot button topics, such as Paul Manafort's million dollar wardrobe. 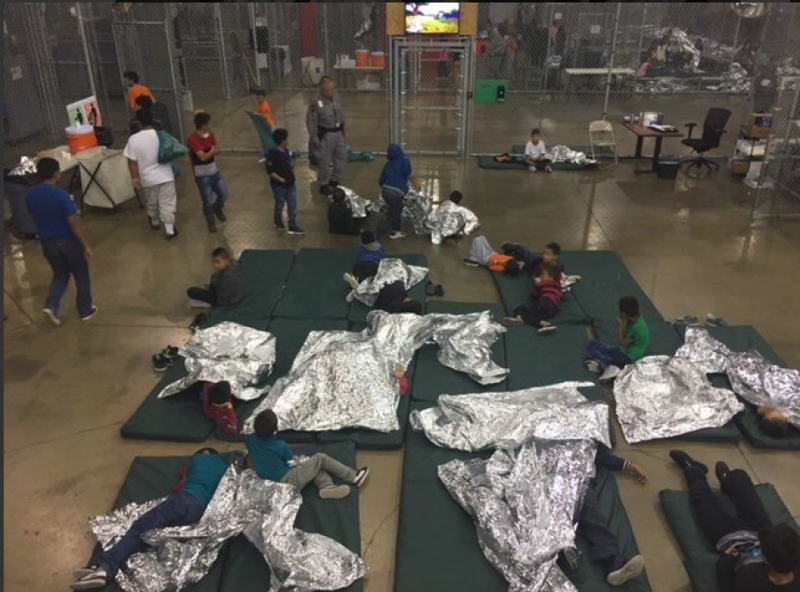 We don't know what's going on with hundreds of children, but we know that Paul bought a jacket made out of ostrich leather. At least we've got our priorities straight.